When relocating to Dubai or just moving job in Dubai employees should be encouraged to familiarize themselves with their work contracts regarding to what their basic salary is and what is detailed as their other allowances eg housing, flights, medical as End-of-service gratuity due to employees is calculated only on their final basic salary earned. 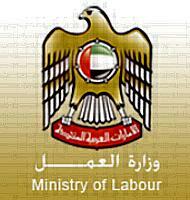 Gratuity is given to employees as there is no government pension scheme for expatriate workers resident in the UAE and the rules on what you get comes under federal law. Twenty one day’s pay for each year of the first five years of service. Thirty days pay for each additional year. The employee shall be entitled to end of service remuneration in respect of fractions of the year payable pro rata to the time actually worked provided that he has completed one year of continuous service. However, it is also worth checking if your contract is a unlimited period contract or a limited period contract as different rules apply to the amount of gratuity you will receive depending on the type of contract you hold. If an employee under a contract with unlimited period has left his work at his own option after a continuous service of not less than one year and not more than three years, he shall be entitled to one third of the end of service gratuity. If the period of his continued service is more than 3 years and less than 5 years he becomes entitled to 2/3 of the said gratuity, but if his continued service exceeds 5 years,he becomes entitled to the entire gratuity. If an employee under a contract with limited period leaves his work at his own option before the end of the contract period he shall not be entitled to end of service gratuity unless the period of his continuous service exceeds five years.